Paul Angelosanto and the Melting Poetry Collective - "A Blade Of Grass"
Paul Angelosanto is a Massachusetts based writer and poet who likes to give readings with musical accompaniment by the Melting Poetry Collective, which consists of Ashkelon Sain (Trance to the Sun), Bob Ross (Debris), Rik MacLean (Mara's Torment), and Greg Grinnell (Teledubgnosis). Well this is an interesting set. It starts off a bit on the silly side with a fun commercial for the Pet Deli. It then goes into a strumming acoustic song that continues the humor with the tale of a rubber ducky, and I wonder if I haven't received a comedy album. But no... there's much more going on here. Yes, it's loaded with humor, including more of these riotous commercials. But there's also lots of interesting music backing Angelosanto's spoken word. Some of it is on the lo-fi side, but there are also some very cool atmospherics and even downright freakiness, and despite the lo-fi comment there's a sense of careful studio work and tape manipulation to achieve an interesting collage of words, music, and sounds. The result is a 66 minute parade of creatively constructed and often zany fun that is like a psychedelic Firesign Theater performance. One of the tracks that really had me chuckling is "Rio Santos vs. The Mutant Tace", which targets comic book superheros. I'll resist my urge to start quoting from this tune because the lines won't adequately communicate the delivery of this piece so I'll just say it's pretty hysterical. The aptly titled "Kozmik Kabaret" really gets into space, being something of a jazz and trance performance on a UFO. And with the completely whacked spoken word the glom is cosmically freaky. And then there's the mindfucked bits in "Lost Romantic" which would have you think it's just a narrative of a journey along Route 66. The 10 minute "The Zen Of Pezz" is a tripped out space groove piece with Latin influences, swirling alien synths, and an overall lysergic stew that gloms together a banquet of voices and samples. In the latter part of the CD the atmosphere takes on a decidedly darker tone. "Brothers Darkly" includes the most purely floating space music of the set, as well as some of the most serious and thoughtful words from the usually comical Angelosanto. The 11 minute title track follows and is equally spacey, with haunting spoken word and includes underlying jazz and drum n bass bits. So we learn that despite his penchant for comedy that Angelosanto also explores more serious topics. Listen closely, even amidst the humor, and you will hear lots of cool little alien bits embellishing the music and creating oddball atmospheres. In summary... this is different. 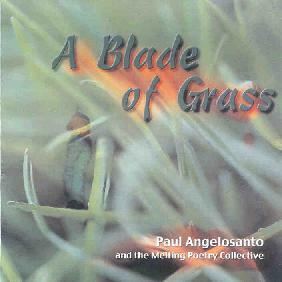 For more information you can visit the Paul Angelosanto web site at: http://www.astroal.com. Contact via snail mail c/o Paul Angelosanto; 3 Walsh Ave; Stoneham, MA 02180.